I've started thinking a lot about how fairies would have lived in a Steampunk World, and there is a lot of information we could get about this from understanding fairies in the cities of ancient Greece, and fairies in the Victorian and modern world. Fairies and spirits change with human society. "They can wear the same clothes that you and I wear. They can go to the store, but no matter how many times they shop the stock never depletes. Over time they can buy snowmobiles just like we do. When we had dogteams, they had dogteams. When we no longer used dogteams and we used snowmobiles, they used snowmobiles. I told you earlier that I had seen this snowmobile light and when I went to check it out there was nothing there because it had belonged to an ijiraq. I knew if it had been human I should have been able to see a person there. I was trying to find the tracks everywhere but I couldn’t find any. I knew there was an ijiraq that was trying to communicate with me." In Cornwall a Mermaid came out of the water, took human form, and went to sing with the people at church without anyone even knowing who or what she was. While in Germany Nixies came out of the water and went to the market like they always had. Fairies of lore are integrated with human society, and so would inspire and be inspired by the steampunk world just as they are by our own world. Think of the Glaistig in Scotland, which was responsible for nearly any skill people had. They made people good blacksmiths, good tailors, ship builders, etc. It's not a stretch to imagine that they would also make people skilled engineers and airship builders as well. This was also true of Nymphs / Muses in Greece which granted people their skills. "There are another cases of performing a rite to console the spirits of some tools which were made and utilized by men in everyday life such as needles, knives,shoes; or to purify buildings before inaugurating them including even nuclear power stations or factories of computer machines, wishing that all the labour works and productions involved in there would be done properly and safely." The man screams and tries to back peddle away from the oncoming train, his mind is overwhelmed with fear. Even through closed eyes he can see the bright light rushing towards him, then, Bam! something small hits him. He falls to the ground in shock, barely able to process the sound of a laughing kitsune (fox) darting off into the bushes. The train had been nothing more than an illusion. Fairies and magical creatures found new ways to take advantage of the rapidly changing world of the Victorian Era (Meiji Era in Japan). In France lutins stole and crashed cars, the fairies of Ireland attacked them, in Italy fairies teased road construction crews. Most of the stories we have of fairies adjusting to the new world, however, come from Japan. Here Tenuki (dogs which look like raccoons) took human form to get drunk in bars, foxes began pretending to be trains and cars in order to work their mischief, and kami took on new roles to help people adjust to their new lives. Such changes weren't always so prevalent in the countryside, however. For even as the world's cities went through a series of shocking changes the the countryside remained isolated for a long time. With no rail roads, no electricity it existed apart from the rest of the world, retaining many of their old traditions and ideas about the magical world in which they lived. For those of you who want to tell the story of steampunk fairies or fairies in a Victorian era world it's easy to imagine a countryside still living what amounts to a Medieval lifestyle, while occasionally viewing airships flying overhead. Certainly there were villages in Japan that continued to live and work as they always had right up until the early 1960s. The English countryside was filled with places where Cunning (good witches) were still the most important people in the communities right up through WWI. Indeed, the vast majority of our stories about fairies come after people began using steampower fairly frequently and there are some stories of fairies even inspiring those who made steampowered vehicles. Even so, with the growth of the cities, a number of things happened. First people in the country without work began, for the first time, to move in mass into the cities to work in factories. The number of people living in the country decreased, the number of farmers decreased. Rather than try to struggle through family farms closed up. This in turn transformed the dynamic of the countryside, and worried the fairies who didn't like to see these changes. Thus in Wales and Cornwall there are stories of fairies aiding people who are about to loose their farms and homes, doing some of their work for them at night so that they won't have to close up and move away. We see similar stories in tales like "The Elves and the Shoe Maker." In this story, which was prevalent throughout Europe some fairies help a Shoe Maker who was likely struggling because the industrial revolution and it's use of machines to make clothes and destroyed his business. This leads to a second important change in the countryside. While the decreasing cost of clothes and shoes greatly helped the poorest of families (shoes had been so expensive children often went barefoot even on frozen ground) it greatly changed the dynamic of the countryside. Once traveling tailors had carried stories and ideas of folk religion from village to village in places like Scotland, but these began to decrease as their jobs were replaced by factories. Despite the fact that fairies push many of the changes that occur in human society, there are many fairies which are adverse to change. Stories abound of fairies growing angry at people for putting new spices in their food, such as wood wife in Germany who was furious that someone had backed cumin into their bread. They missed the old foods, the old traditions, the old families that they had been neighbors with for generations that had been forced to move on. In addition houses and farms in the countryside could become abandoned, leaving the family fairies who had lived in these lands for generations alone, without a purpose. In such cases the countryside could quickly become overrun with mischievous boggarts without a home. Still, despite such changes, life went on much as it always had in the countryside. People retained their old relationship to the fairy world, and even reapplied it in interesting new ways. When the people of Mari-El (in Russia) for example, were called to war in distant lands they would pray and leave offerings to their local Keremet who would in return keep them safe. In one case a Keremet even brought a soldier home for his brothers wedding, before returning him once more to the battlefield. The Japanese had many similar experiences in which local Kami kept them safe during the wars during the Victorian era and helped them defeat Russia during one of the biggest wars of the era. So for many, the relationship with the spirit world was only enhanced by the changes in the Victorian world. For when people's children were taken to war in distant lands they'd never heard of, or were used to maintain their countries interests in far away colonies which had once seemed like the 'other world' people needed to turn somewhere. This meant that the role of the tutelary spirits which people had once turned to for help with farming had to expand and change rapidly. There was one more change which occurred during the Victorian era that transformed not only the countryside but all of human society. People in the cities began to think about the country and fairies of their nations with a sense of Romanticism. From the Grimm Brothers to Yeats, people began to believe that the countryside and it's fairies was what truly defined their culture. Fairies became a human symbol of nationalism, a point of pride for the Celts, among others. In a steampunk fantasy world this would have changed our relationship with the fairies. So in a steampunk world many leaders and philosophers would be scrambling for the approval of the fairies. Wars would be between not only two human nations but fairy nations united with human nations. As more and more people sought to imitate the fairies of their land. ---Lirio Mors left a wonderful comment about a fairy train in Russia which is well worth reading. 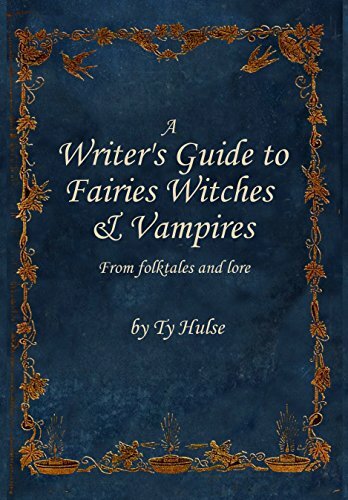 As usual, i wanna Thank you for your post, this last month i have been kind of obsessed about traditional fairy tales and the pagan clues you can find in it. "One year, toward the end of the holidays, my brother and I had a strange experience, the mystery of which was never solved. We were leaving by the midnight train from Moscow to St. Petersburg. After dinner we said good-bye to our parents and entered the sleigh which was to take us to Moscow. Our road led through a forest called the Silver Forest which stretched for miles without a single dwelling or sign of human life. It was a clear, lovely moonlight night. Suddenly in the heart of the forest, the horses reared, and to our stupefaction we saw a train pass silently between the trees. The coaches were brilliantly lit and we could distinguish the people seated in them. Our servants crossed themselves, and one of them exclaimed under his breath: "The powers of evil!" Nicholas and I were dumbfounded; no railroad crossed the forest and yet we had all seen the mysterious train glide by." This is a fragment of "lost Splendour" an autobiographic book by Prince Felix Youssupov, (the one who apparently killed Rasputin), we know this man lied about some things (the whole Rasputin complot) but who knows, this is suppossed to be a real life story, and I think that if he lied about this experience maybe he heard someone else telling a similar tale, but of course, I don't know the truth. Sorry for the long post, and the poor grammar, but greetings from Mexico. Thank you for the wonderful post Lirio Mors, this is a wonderful encounter tale, I'm putting a note in my article that people might want to read the comment.